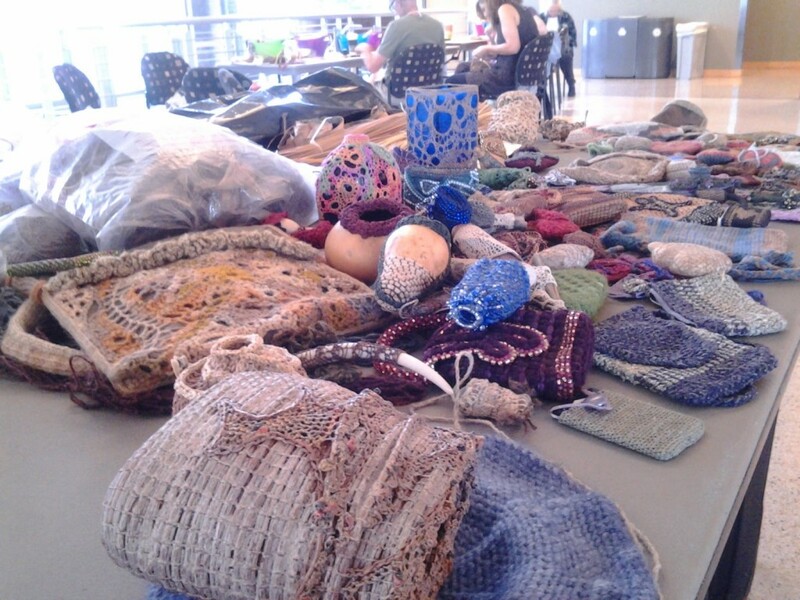 In the 2-day workshop Around The World In 7 Looping Variations, we’ll explore cross-knit looping, Danish stitch, Fuegian coiling, Burundi looping, and stitch variations found in Papua New Guinea bilum bags, Great Basin small game nets, and Pima Burden baskets. 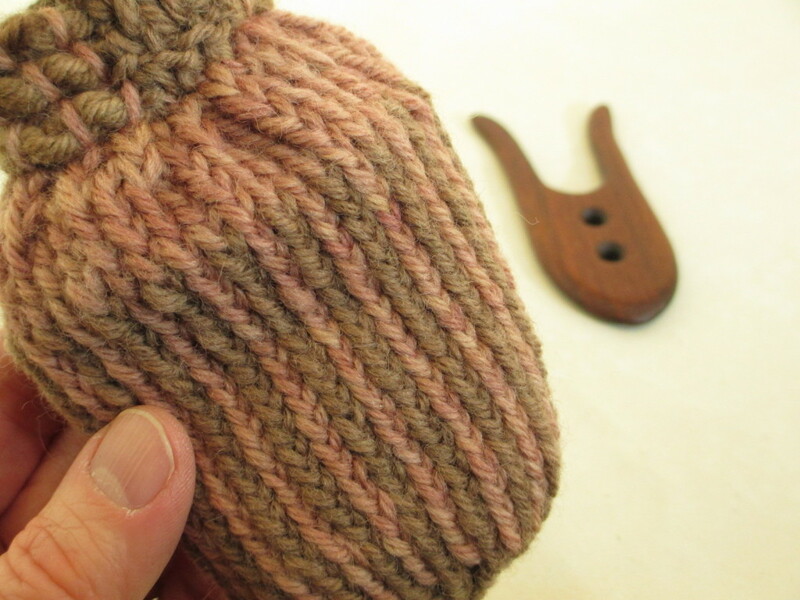 The Tarim Amulet Pouch half-day seminar focuses on cross-knit looping, which uses a needle entry variation to produce a distinctive vertical line element that looks like two-needle knit stockinet stitch but is much, much older. It’s easy to put off opportunities like this, because there’s never enough time or money to do everything. But I always consider it time well spent when I take a workshop that lets me bypass a few years of trial and error. Last fall, for example, I took a nalbinding course at Vesterheim. I really didn’t have the time or the money. To pay for the class, I had to rob the money from myself: It should have been used to pay professional dues for two organizations. The time for the class I robbed from doing things that might have made enough money to offset what I spent on the class. But this winter, I’ve been so, so glad I made the time and found the money instead of putting it off any longer. By the way, my friend Andrea Mielke Schroer will be teaching nalbinding at Convergence. And that brings up another lovely aspect of in-person conferences: You have a chance to meet real, live people who share your interests in obscure textile techniques. So who’s interested in a looping meet-up in Milwaukee?